John and Michael raised an amazing £2,000 for The Neem Tree Trust in 2012. Read about the interesting way they raise money for our charity. We will keep our supporters posted on the dates and venues of John’s stalls in 2014. Ken and I have made many new friends since we founded The Neem Tree Trust and two of the most interesting are Michael Manser and John Kendall who have supported the charity for many years. We first met them both at our friends Sue and Ian Bolden’s Open Garden in Bradford-on-Avon where we were serving refreshments in aid of The Neem Tree Trust. Michael subsequently joined our Neem Tree Trust Lottery Club, making a donation each year but as I recall he has never actually won a lottery prize! Michael and John frequently visit India and they have told us fascinating tales of tribal people in Chhattisgarh in Central India as well as their friendship with the Maharaja and Maharani of Gondal, in the State of Gujurat. Although they have yet to visit southern India they are very interested in the work we do on behalf of the children in Tamil Nadu. John first trained as a veterinary surgeon and practised in Chippenham for 9 years, after which he trained as a teacher and taught Animal and Plant Science for 20 years at George Ward School, Melksham. 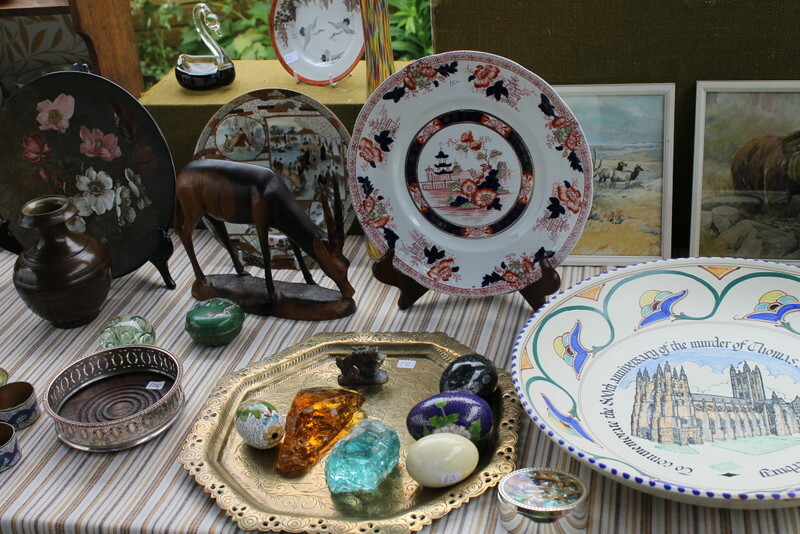 He has many interests but a real fascination for antiques, which he developed at an early age when, as a small boy he would frequently accompany his mother to antique shops. 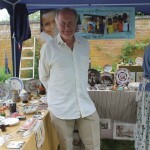 His interest grew and for many years he and his mother ran a small antiques business together and they would take a stall at the Marlborough Antiques Fair each year, which was held in aid of Oxfam. 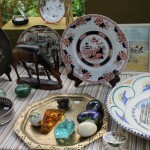 Nowadays John continues his interest as a hobby and each weekend during the summer rises very early in the morning to explore four or five car boot sales in search of small antiques which are interesting and beautiful and which he considers he can sell for a reasonable price and make a small profit. He does this not for his own benefit but for that of The Neem Tree Trust and the children we support in south India and he has raised over £3,000 for our charity! 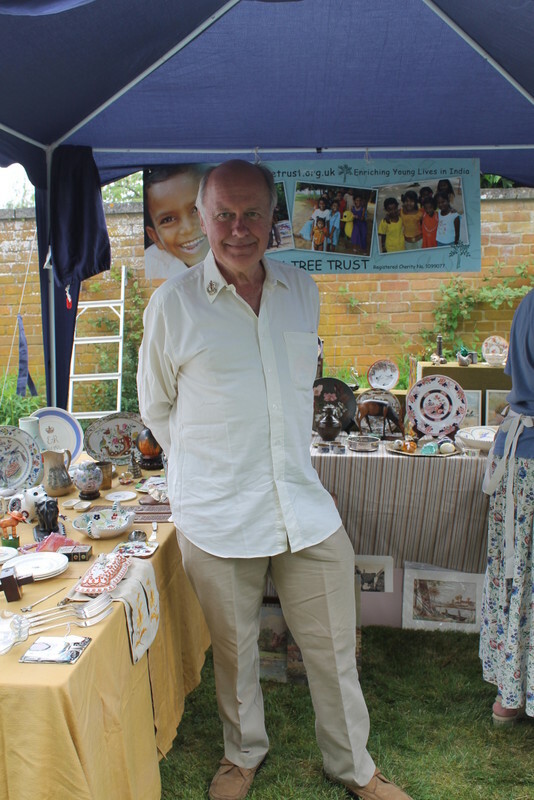 John takes a stall at three events during the year, Rowdeford School Garden Fair near Devizes, Seend Church Fete, near Melksham, and Mead Nursery Open Gardens at Brokers Wood near Westbury. In November and December each year he turns a spare bedroom at home in Seend into an Aladdin’s cave to give friends and family the opportunity to browse and buy unique Christmas presents at very reasonable prices.